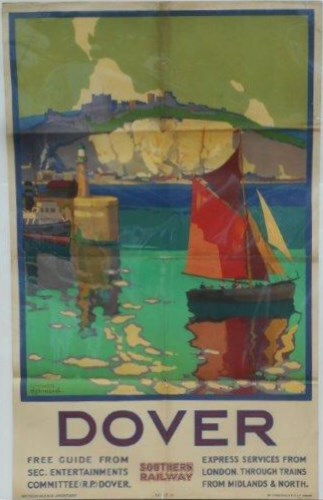 Lot 91 D/R Poster 1931, Southern Railway "Dover" by Leonard Richmond. A sailing boat leaving the harbour with the white cliffs and castle in the background. Folds with some staining at top.